By the mid 1980’s, fuelled by a passion for collecting fine cars and anything related to them, John Haynes OBE had amassed a collection of twenty nine cars and three motorcycles. He wanted this growing collection to be open to the public and a charitable trust was formed to ensure the collection would also be accessible to future generations. So, after extensive redevelopment of an old joinery on the current site, The Haynes International Motor Museum first opened its doors on 10th July 1985. The charity’s primary aims are preservation, restoration and education and today hundreds of school children enjoy free, curriculum led educational visits and all the vehicles within the collection are recipients of meticulous preservation and restoration work done by an army of volunteers led by the Museum’s highly skilled Workshop and Restoration Centre team. This team also carry out restoration and maintenance work on external customer’s vehicles, with all profits going back into the charity. 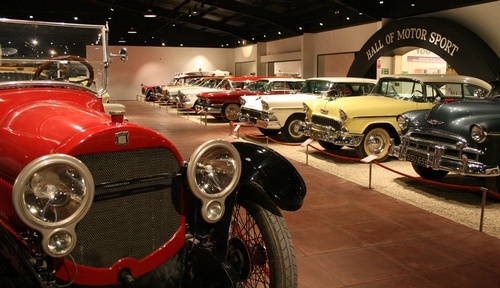 The collection of cars, motorcycles and automobilia continued to grow as did the Museum with regular extensions including the development of a test circuit adjacent to the main building. Investment in the site and the collection has continued to this day and now, after an extensive £6m redevelopment completed in April 2014, the Museum now boasts: over 400 cars and motorbikes in 17 very distinct exhibitions; a stunning entrance foyer and reception area; a large Museum shop selling auto related gifts for both young and old as well as specialist memorabilia; Café 750 which serves delicious home cooked food; state of the art conference and hospitality facilities for 10 to 400 guests and Haynes Workshop and Restoration Centre. The exhibitions, from the “Dawn of Motoring” through to “Supercar Century” take you on a journey from early beginnings to present day supercars taking in vehicles from across the globe along the way. The Museum will give you unrivalled access to explore, discover and experience the history, designs and technologies of motoring from around the world. 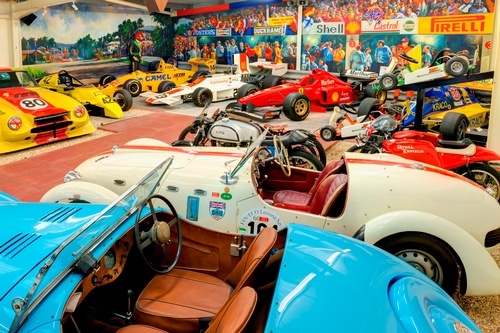 The Museum also offers fun for all the family with Haynes Motorland including an electric go-kart track, the Vroom Room (an indoor soft play area), Haynes Garage, and activity play frames and vehicles. Within the Museum there is also Paint-a-Mini, a car simulator, an auto-games area, dressing up and photo points as well as brass rubbings and kid’s activity trails. Added to this there is an extensive programme of events for both children and adults throughout the year as well as a seriously challenging karting track with state-of-the-art karts open to the public. Alongside the roll out of a programme of tours and talks as part of a “Museum in Motion” concept, the Museum’s new website that was launched last year which features a fantastically useful area called “What’s On”. This allows you to search daily or weekly for free tours and talks which cover a multitude of subjects related to the collection. Car and bike enthusiasts will also love the Haynes Breakfast Club and Haynes Bikers’ Breakfast Ride In which are held on the first and third Sunday of each month respectively. Owners of veteran, vintage, exotic supercar and everything in between on both four (first Sunday) and two (third Sunday) wheels collect at the Museum in their hundreds, enjoy a hearty breakfast and meet likeminded people. A perfect time to visit the Museum too! 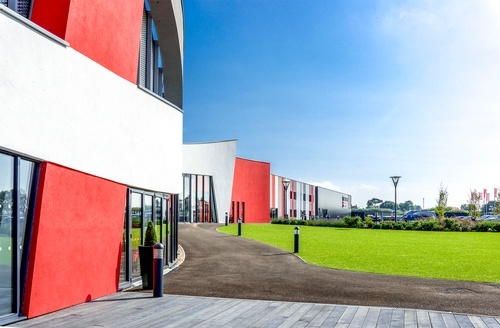 The Museum also boasts one of the top conference and hospitality venues in the South West. The flexible, purpose built air conditioned rooms can accommodate as little as 10 guests, up to a maximum of 200 banquet and 300 theatre style. Add to this the unique opportunity of hiring exhibition space within the Museum as well as the landscaped external areas and you can begin to understand the versatility of the Museums exceptional facilities. Again all profits made are used to support the charitable aims. 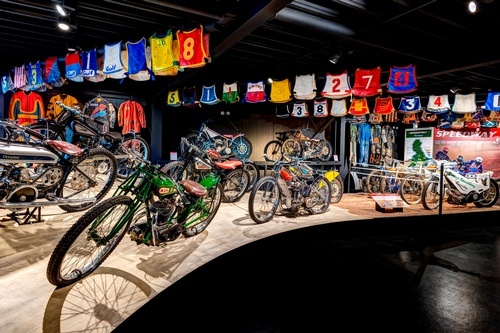 Whether you are a motoring enthusiast, a family looking or a fun day out, or a group of friends young or old, the Haynes International Motor Museum offers an unrivalled opportunity to explore, discover and experience. For further information please visit www.himm.co.uk Tickets are also available online.